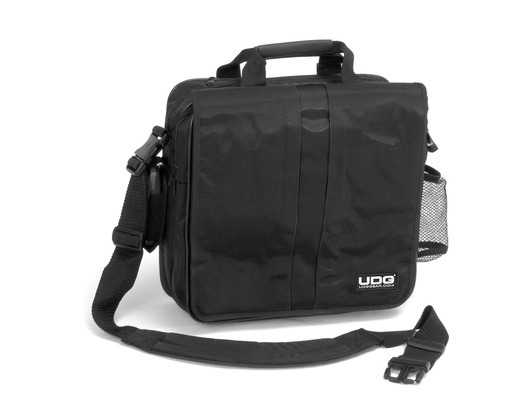 The UDG CourierBag Deluxe Black/Orange holds approximately 40 records or 35 with laptop inside. 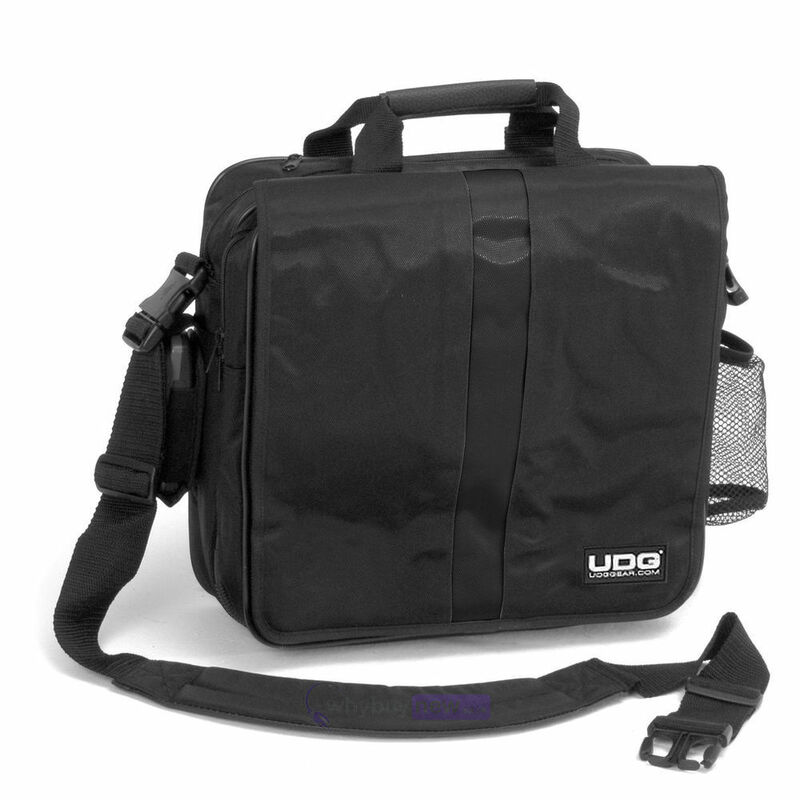 The CourierBag Deluxe is built with firmness in mind and can be combined with an UDG Trolley. 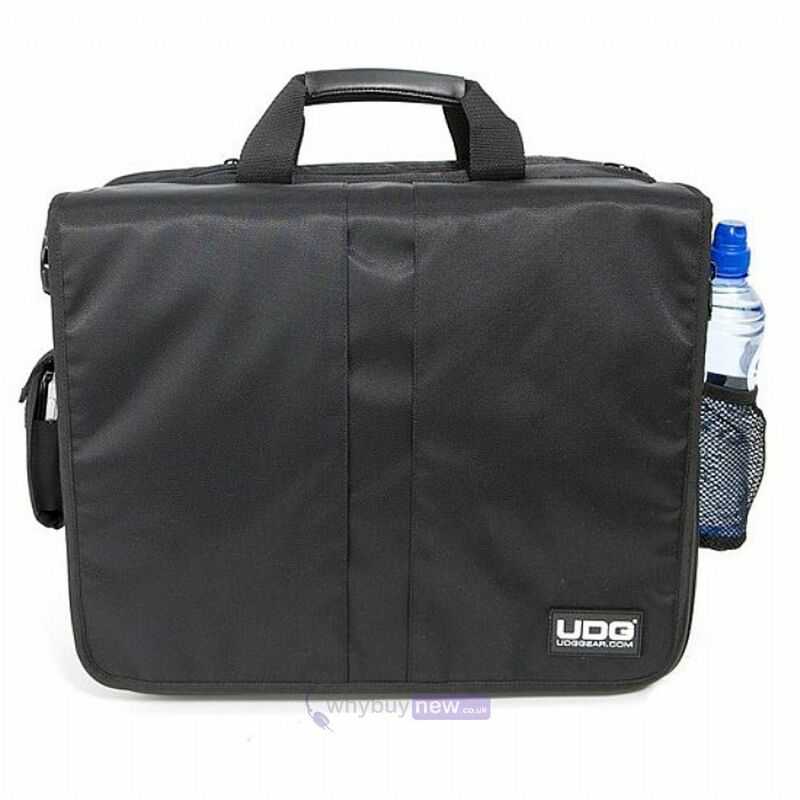 The bag is also perfect for daily use as a schoolbag or take it with you to work. 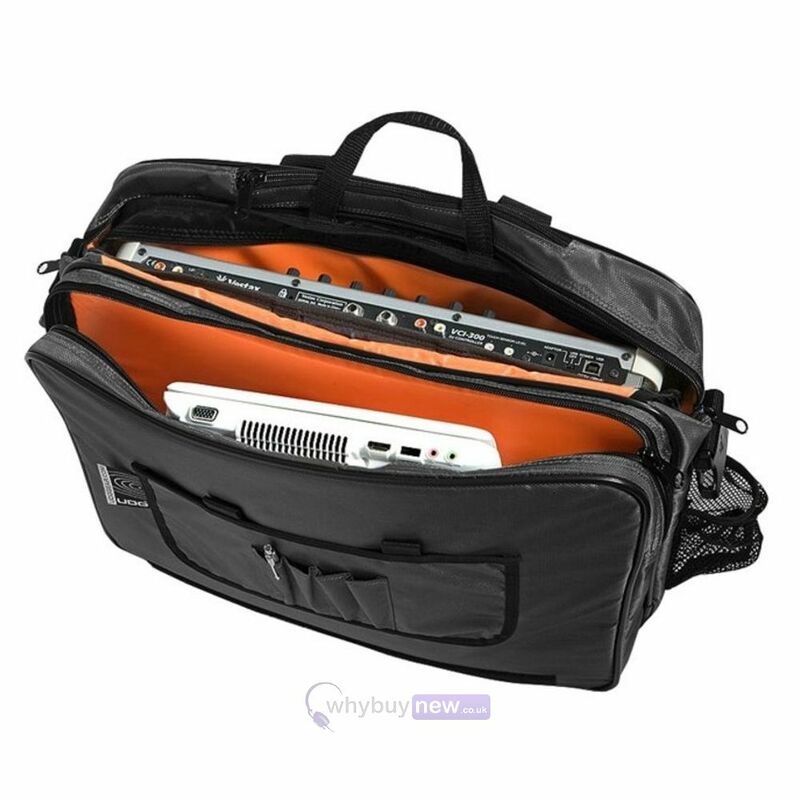 It features an inner 15.4" laptop bag which comes included, as well as a detachable phone pocket and a strong velcro fastener. 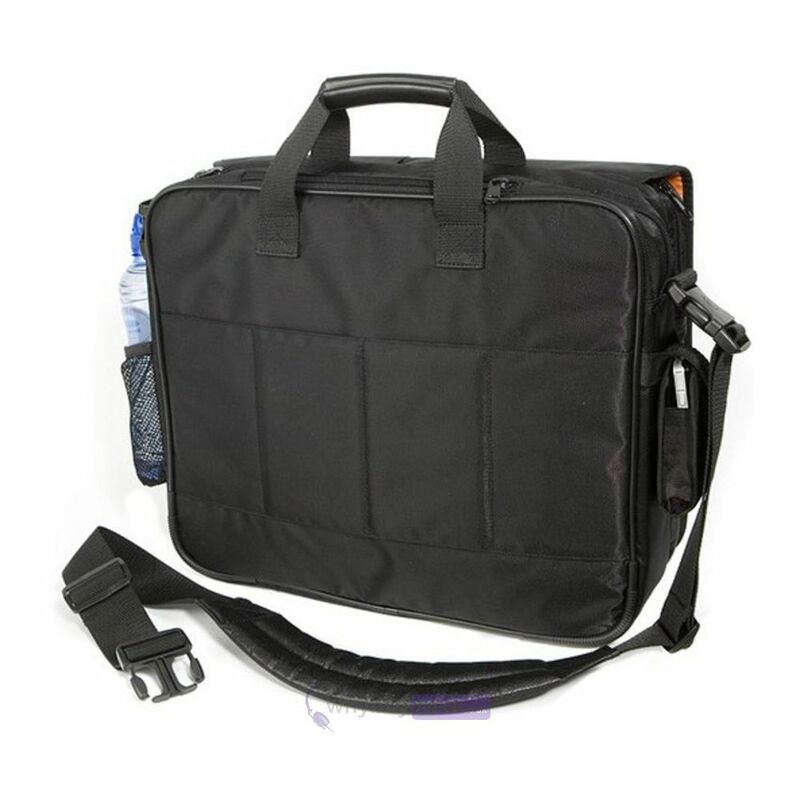 The bag comes with a comfortable shoulder strap which can be adjusted to the perfect fit and a handle with rubber grips that provides comfort and durability.